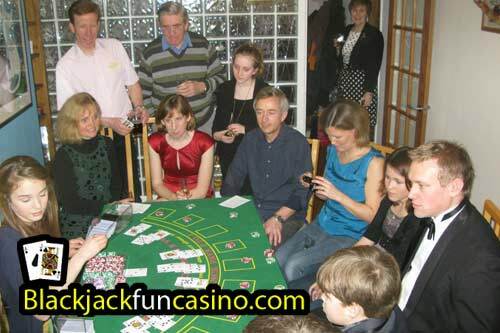 Hosting a Casino party at home? 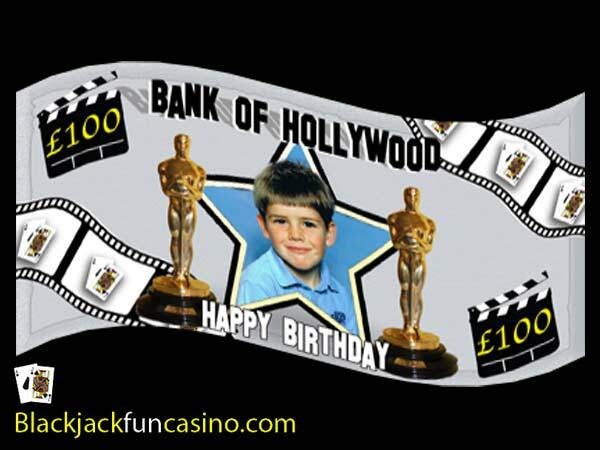 Is your birthday party in a venue with limited space and not enough room for full sized casino tables? Are you organising a Charity night with a minimal budget? 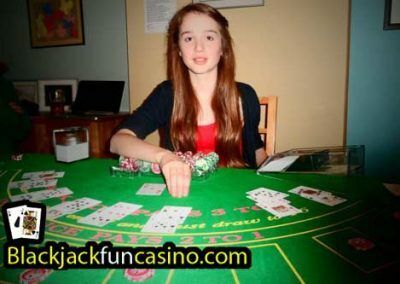 Well DIY Casino hire sounds like the right entertainment for your event! All of the fun, none of the risk… Less than half of the price! 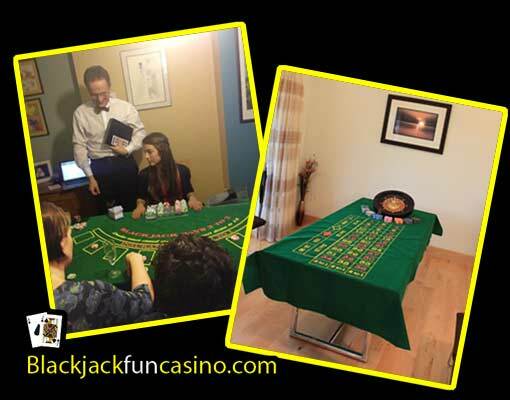 Everything you need to run your own casino, all you need to provide is standard sized trestle tables or dining table and a volunteer to play ‘croupier’ and you will have a great night! 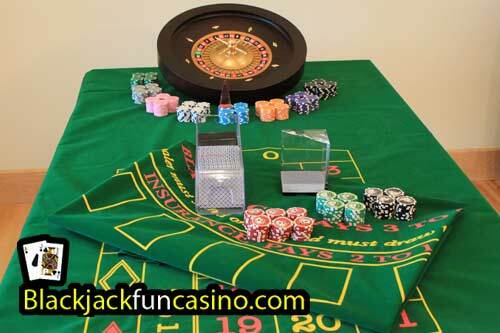 We supply all the casino equipment you will need to wow your friends and turn your home or venue into a little Las Vegas or a classy James Bond Monte Carlo casino. 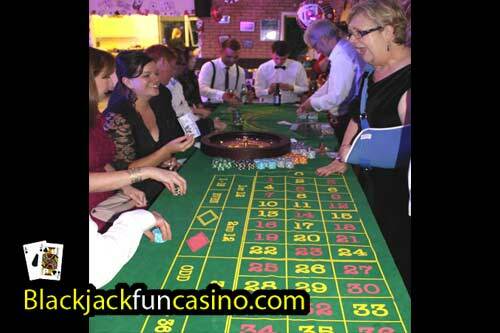 See below information on how a Do it yourself Casino hire will be perfect for your Casino night. 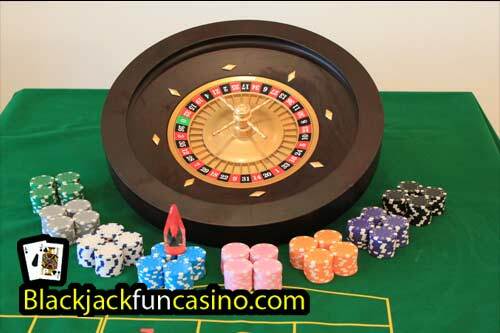 We're proud of the quality of our DIY Casino equipment we hire out. Please see photos below of the actual equipment. Fill in the form, choose your delivery day... Done. Although you can call or email us if you wanted a chat about it. 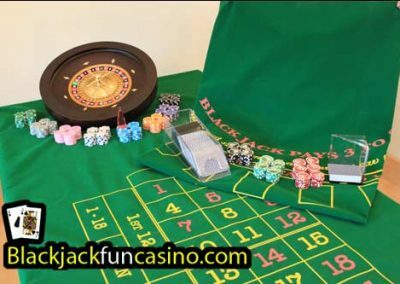 Although many people know the basics of how to play Blackjack and Roulette, our training DVD will give both confidence in dealing the games but also some really useful hints and tips on how to run the casino games on the night. 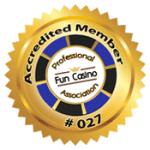 (we are the only company to offer a croupier training video). 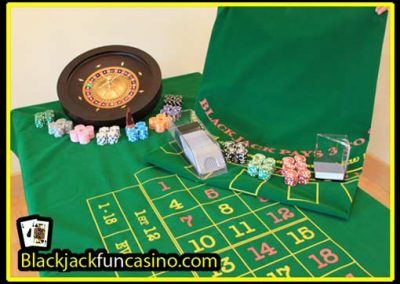 With quality looking casino equipment and croupier skills like a professional it’s time for you to wow your guests with your new found Casino skills and host a really fun casino night. The only thing you need to provide is a table for each game to be played. 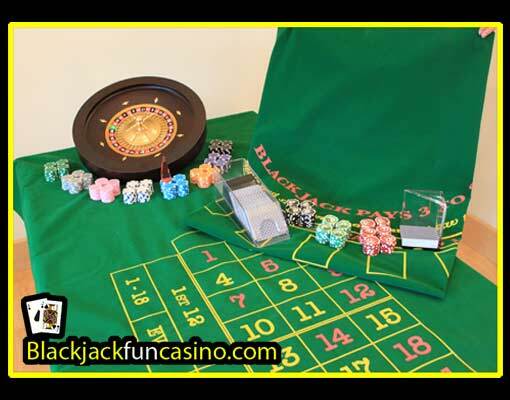 The casino cloths and equipment will fit on a large dining table or standard sized trestle table (6ft x 3ft / 180cm x 90cm). 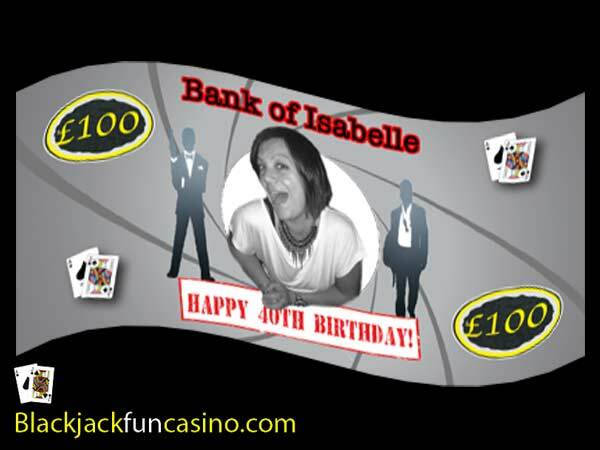 Our kit comes with standard ‘fun money’ that you hand out to your guests…. At the end of the night count everyone’s chips and give a prize to the one that has won the most! Add a nice touch to the casino party and upgrade your fun money with a photo…. Simply fill in the form at the checkout and choose your delivery and collection day. If your party is on Saturday, we'd suggest we organise delivery for Monday or Tuesday, just so we can ensure it gets to you well before the party and you have time to have a look at the equipment and watch the video and have a little practise. Note - You can change your delivery / collection day upto 2 weeks before your party, so this is not set in stone. Extras - Is it a birthday party? 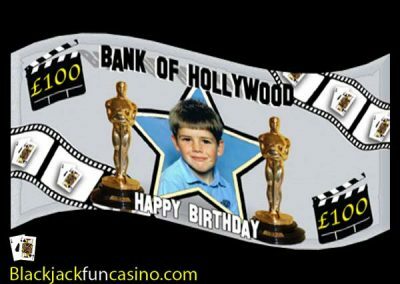 Wanted to personalise the fun money - discounted price £20 to add to your booking? You can add this a the checkout. 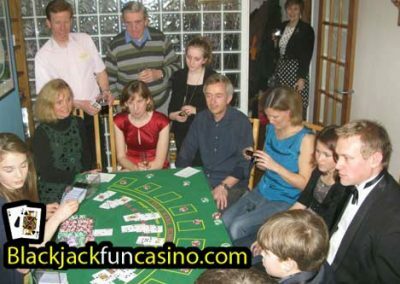 Our DVD will teach you how to run the games yourself but if you prefer to hire professional croupiers, we can help put you intouch with a croupier in your area. 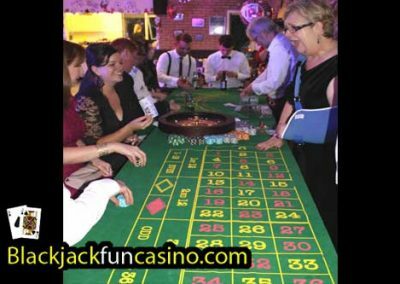 FYI - A professional croupier will cost you around £75 for 3 hours, they are not our staff and do not represent Blackjackfuncasino... We give you their phone number and you liase with them as to details of your party. 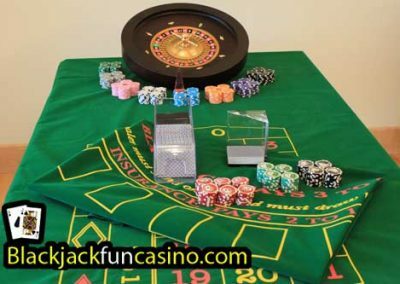 Basically everything you need to run your own casino night, all you need is a table big enough and a volunteer to be the croupier on the night. 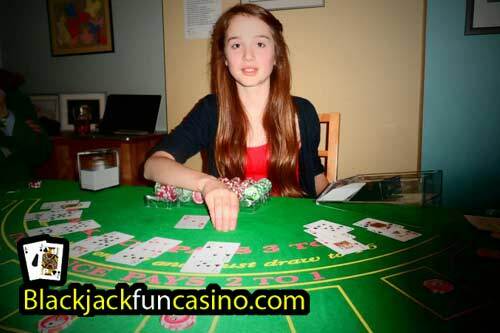 Roulette chips – Standard casino size and weight – not the cheap ones! 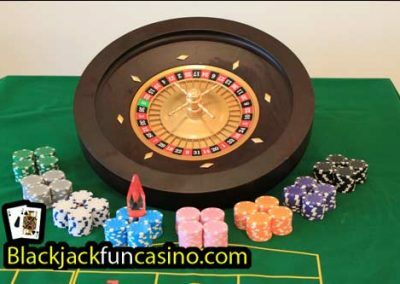 All equipment needed to deal a full Roulette game. 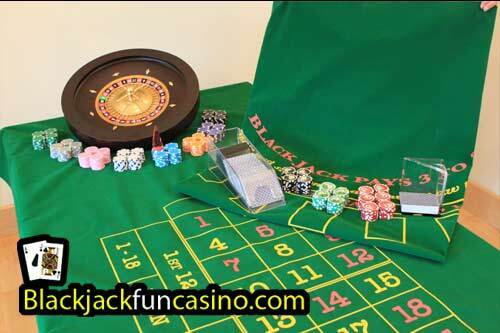 Blackjack chips – Standard casino size and weight – not the cheap ones!